Walking down the street, riding the bus, waiting for an appointment, lying in bed, eating a meal… What do these activities all have in common? The majority of smartphone users will say those are peak times for scrolling through their social media networks. With nearly 80% of Americans on Facebook, it’s no wonder businesses are flocking to the platform for their marketing campaigns. 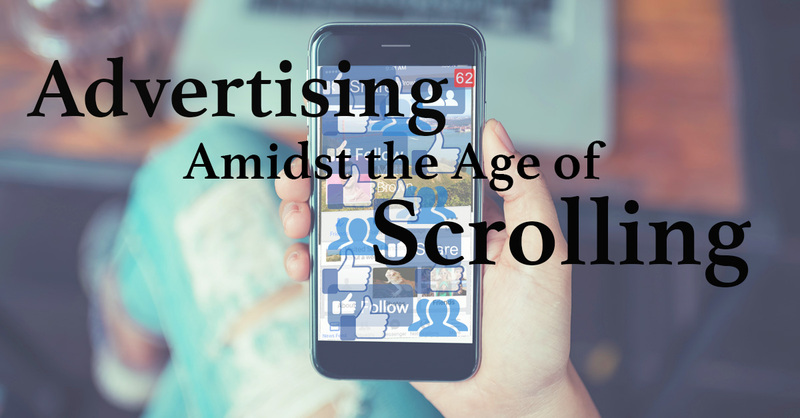 In the age of digital advertising, Facebook consumers are exposed to hundreds of ads each time they open the app. After years of experience scrolling through their timeline, users now subconsciously scroll right past ads that sandwich friends’ statuses and adorable puppy videos. So how can you demand the attention of your target audience amidst the chaos? By creating relevant content that doesn’t look like the typical ad. Facebook users love to repost content to share with their friends. They’ll share their results from a quiz that revealed what kind of dog they are, repost a healthy recipe to let everyone know about their latest diet trend, or give their two cents on a news blurb. Every marketer knows how important it is to adapt content to fit the company’s target market; on Facebook it’s no different, in fact it may be even more important. If your company is looking to target millennials, ads need to be anything but ordinary. Instead, try adapting your material into current social trends. One example of this adaptation is creating memes. Search “trending memes” to spark ideas and ensure sure you aren’t posting outdated or overused material, then adapt the caption to fit your company. The goal is to create a meme that relates to Facebook users AND your company that is ultimately worthy of sharing. If you’re stuck, try one of many meme generator apps! They are loaded with trending templates that only need your caption. Invest the time and resources into researching what your niche market is clicking on and sharing: recipes, sports interviews, quizzes, fashion, heart touching videos… They all can be adapted to become unique marketing strategies that will catch the even the fastest scroller’s eye. Remember to aim for content that is not only relatable, but also informative. Don’t lose sight of your message and keep things positive. Be sure to also monitor and engage with user comments to attract even more Facebook users and gain loyal fans. Go get those likes!